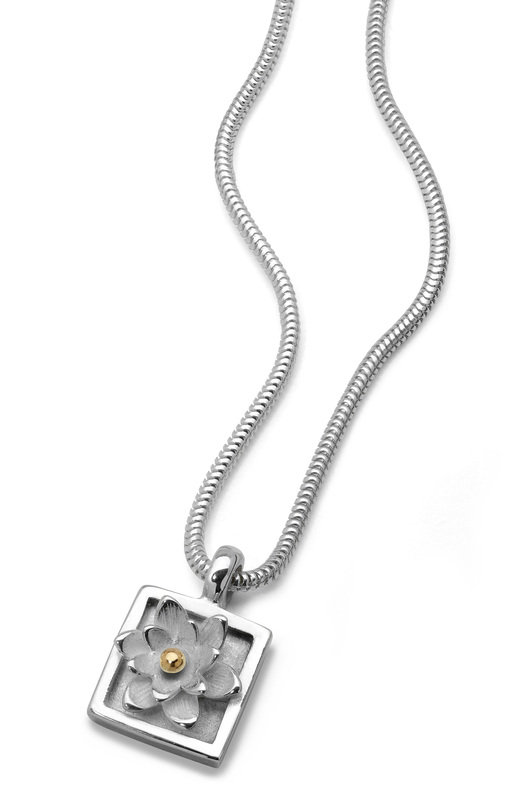 Square framed silver flower pendant with 18ct gold centre bead. Polished finish and supplied on 16″ snake chain. Approximate size 1.2cm x 1.2cm.